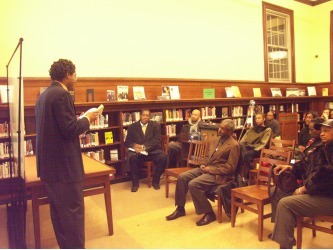 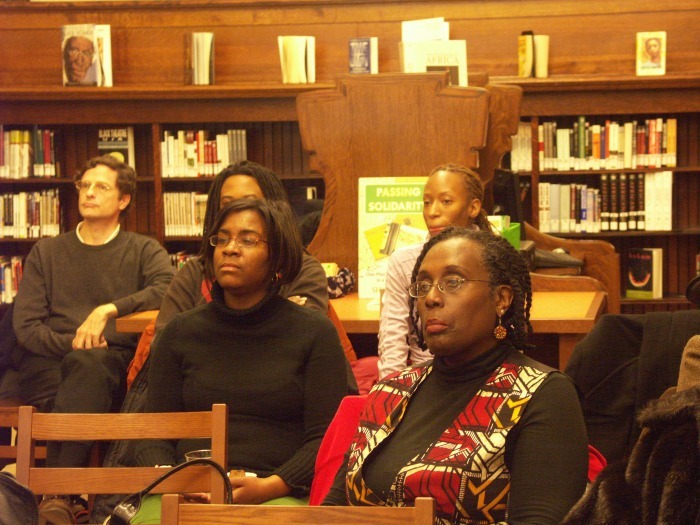 On Tuesday, February 24 at 6pm the Macon Branch of the Brooklyn Public Library hosted “Pilgrimage Between the Pages” at its newly renovated African American Heritage Center. 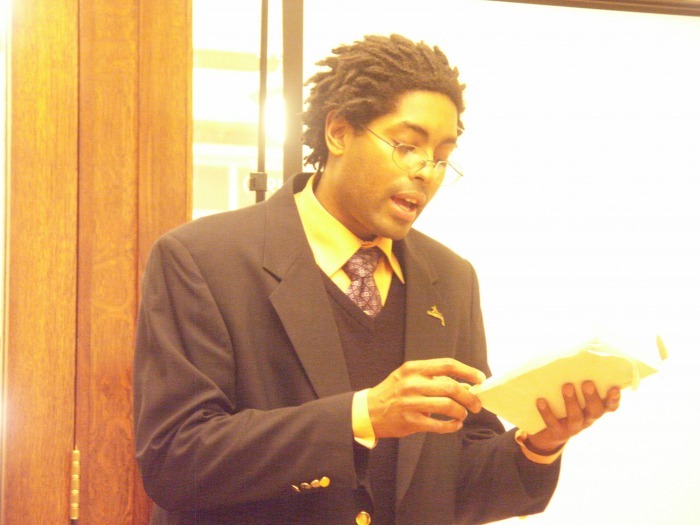 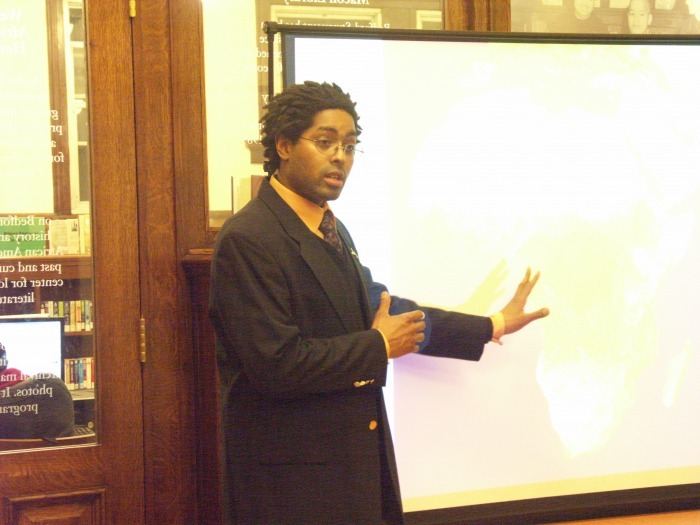 Sharai Erima, author of the controversial book Passing Solidarity: One Man’s Search for Identity in a Global Context read parts of his book focusing on some unexpected pitfalls concerning African American genealogical research. 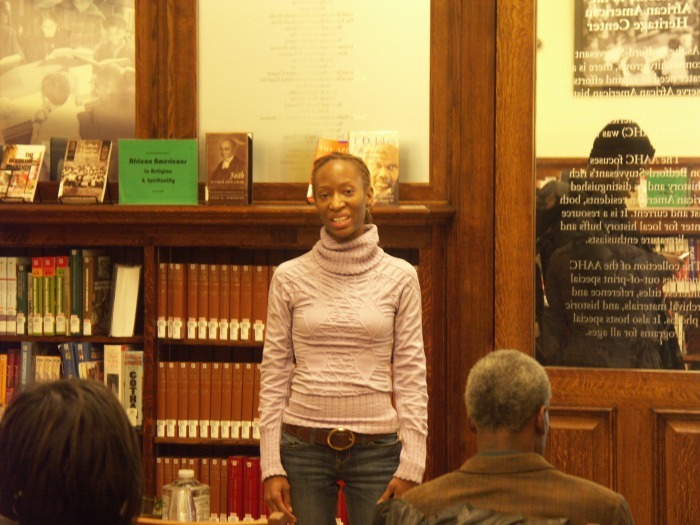 VOCE, spoken word artist, sung a song inspired by her great grandmother's experiences. 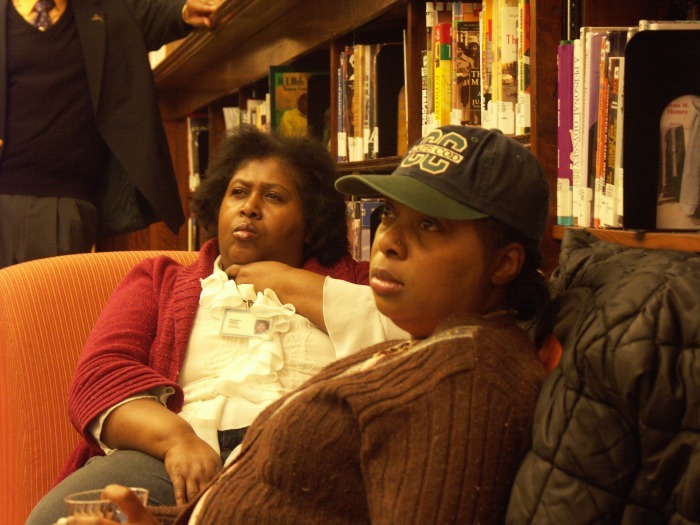 Representatives from the offices of Senator Velmanette Montgomery, Councilman Albert Vann and Brooklyn District Attorney Charles J. Hynes were also in attendance (Joan Eastmond, James V. Crandall and Lance P. Ogiste, respectively). "I really enjoyed the event," says Mr. Ogiste, "It was also great to learn of the African American Heritage Center right in our own backyard." 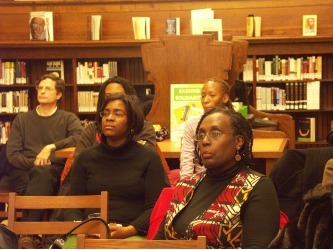 The event was made possible by the generous support of the Brooklyn Arts Council and funded in part by the Greater New York Arts Development Fund of the New York City Department of Cultural Affairs. 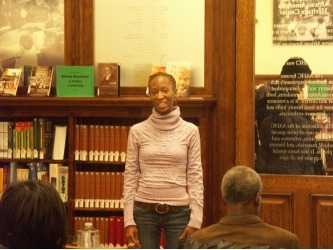 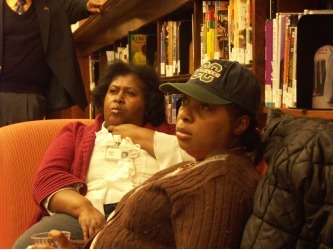 The book, Passing Solidarity by Sharai Erima, is available at the Brooklyn Public Library.